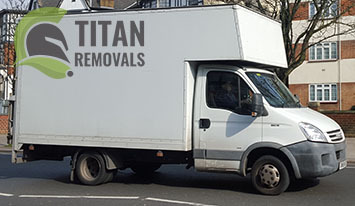 Finding reliable, affordable and comprehensive man and van services in Enfield can be quite challenging but fortunately for you, you won’t have to deal with this issue because you have found us and we from Titan Removals are considered to be the best movers in the area. We have been in the relocation business for so long that we know it like the back of our hands. So, rest assured that by choosing to work with us you are choosing to go through an easy, quick, stress-free and hassle-free removal in Enfield, EN. If your business isn’t included into the list from above, don’t discard us! Instead give us a call and tell us about it and we promise you with a capital P, that we will find a way to provide you the man and van services that you are looking for and handle your upcoming business removal in Enfield, N, in a professional, punctual and diligent manner. We also provide domestic relocations of the highest quality. We have tailored our household removals in Enfield to match the highest standards of the industry because we understand in full how important it is for our clients to move their homes without any complications and accidents. It is because of this that we have insured all our moving services. However, to date we have never activated our policy as we have managed to maintain a 0% accident ratio throughout the years. We have attained this great achievement by always double checking everything and accenting on safety and security. So, if you are about to move from one place to another, don’t be hesitant to contact us because we are ready to organise and handle your residential relocation in Enfield, E, from start to end. Another highly praised standalone option of ours is our storage service. We have a modern facility which is open 24/7 and which houses storage cells of various sizes. We also have outdoor, indoor and portable units, so rest assured that we can meet all your storage needs and provide you an option that will best suit your personal preferences and requirements. Down below we have posted a table with the different sizes of our storage cells. Regular 10×10 Approx. the size of a small. Can be use for the storage of small and mid-sized household and office objects. Large 10×20 Approx. the size of a single car garbage. Can be use for the storage of all types of items regardless of size and volume. Extra Large 20×20 Approx. the size of a two car garbage. Can be use for the storage of the entire content of a household or commercial establishment. Our Enfield, N, storage services are credited to be the most reliable because we have fitted our cells with top notch alarm and environmental systems while our facility is guarded round the clock by fully licensed security guards. Keep in mind that you don’t need an initial reservation to book one or several of our units. 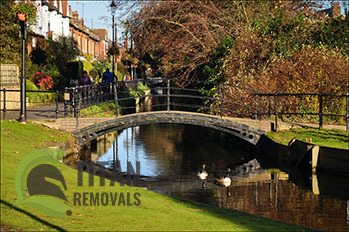 As you can guess our company operates throughout the London Borough of Enfield. The area lies in the northernmost parts of the English capital and has an estimate population of 325.000 people. Despite its large population it is one of the city’s least densely populated areas with a density rate of 10.000 people per square mile. The borough is comprised of a total of 27 districts and is home to several well-known landmarks that attracts travelers from all over the world. Millfield Theatre is arguably the most renowned entertain venue in Enfield. It is part of the Millfield Arts Centre and was founded during the late 1980s. In 2009 it was the subject of a major reconstruction project which modernised the venue. At the moment the theatre has a capacity of 362 spectators and frequently organises classes and workshops from adults and children. The Myddleton House is another well-known local landmark. It was constructed during the early 19th century for H.C Bowles. During the early 20th century, celebrated plantsman Edward Augustus Bowles created the Myddleton House Gardens which are presently open to the public and are home to the original Market Cross of Enfield Town. Today, the edifice is used as a museum which is dedicated to the life of the Bowles family. The Borough of Enfield, EN, is the location of the world’s first automatic teller machine (ATM). It was installed in 1967 at the local branch of Barclays Bank and was revealed during a ceremony which was hosted by prolific British actor Reg Varney who lived in the area at the time.